It’s October, and that means a lot of things! Breast Cancer Awareness, Fall Festivals, and Bully Prevention Month. This is a time of the year in which people come together to raise awareness about bullying. Here are some quick facts about bullying and the things you can do to help when you know others are being bullied! An estimated 160,000 children miss school every day because they are fearful of intimidation, taunting, and ridicule by their classmates. 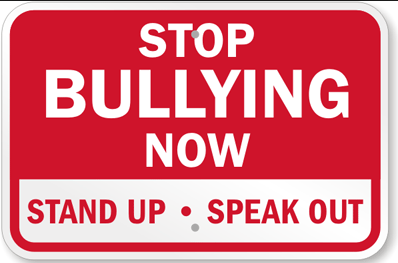 1 in 7 students in grades K-12 is a bully or a victim of bullying. 90% of 4th through 8th graders report being victimized by bullying. 4,400 deaths per year, according to the CDC, are caused by suicide. It is the 3rd leading cause of death among young people. 61% of students said they shoot others because thy have been victims of physical abuse at home. So, what can you do about bullying? Some of these ideas might be helpful to you. Make sure your school has a clear policy in place to define and deal with issues of bullying. Start a school club or program for Anti-bullying. Use social media for good! 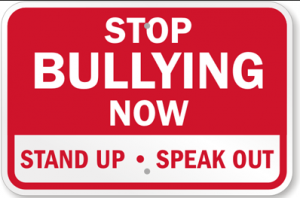 Help to spread the word about the negative repercussions of bullying. Talk to someone! Your teachers, guidance counselors, friends, and others are here to help you! Continue to educate. Knowledge is power. Spread the word about bullying, what it is, and how it can be prevented. Become an advocate today!